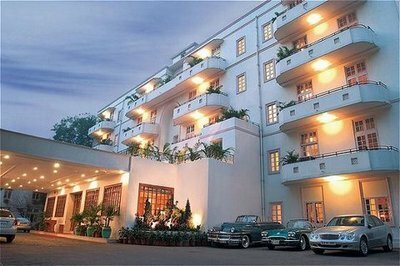 On this page you'll find all of the best hotels in India with information on location, transport, cost, T&C and facilities etc. Along with our hotel partners our aim is to bring you the best hotels at rockbottom prices! Just fill out the form below to search where you want to go or scroll down the page to check out my selection of the best hotels in India! Ahmedabad, the home of Ghandi's struggle for freedom and now one of the most prosperous business centres of India with the hotels to match. Chennai is one of the biggest Cities in India with some of the most spectacular sites and sounds and a huge amount of hotels, hopefully my guide will guide you in the right direction! The ultimate selection of Hotels in India ranging in price and stars from highest to lowest and based on my own and other's experience. A very carefully selected selection of the best hotels in Goa with reviews, information, excellent photos and links for further reading. Enjoy! God's own country never fails to impress us with her overwhelming beauty, scenery, people and now hotels. With a huge selection to choose from I have listed just some of those extra special ones dotted around the state... Enjoy! Udaipur is the jewel of the North and the crown on Rajasthan's sandy head. The truly special atmosphere at this place coupled with the breathtaking scenery and architecture mean that Udaipur has undoubtedly some of the most special hotels in the whole of India and probably the world.